With warmer spring weather in the air, what are the prospects for the property market? Will listing volumes rise to meet buyer expectation or will prices continue to track higher? Buyers coming out of a winter of discontent may have a reason to smile soon as the spring selling season finally gets underway. Spring spells a vision of hope, new beginnings and casts a positive spirit of confidence over the market as the weather warms up. As we move into the most active season of year, we are likely to see a significant increase in listing volumes - but don't expect to see a massive rush of new stock early in the season. My prediction is for a steady build-up of stock which should result in price growth moderating - which is good news for buyers looking for more choice. Core Logic report that Sydney home values have increased the fastest of all capital city markets. However the rate of growth is half that of the recent peak rate of growth in July 2015. Average days on market (selling time) is now 42 days for houses and 36 days for units which is approx. 14 days longer than a year ago. But even though the trend for days on market is slowly ticking up - buyers still don't have luxury of time to make offers and play a waiting game. Buyers need to be ready to move on the right property and make quick decisions - especially in an auction situation. To make the trend your friend, have a chat to one of our buyers' agents and they can advise the best areas to buy and position you to the front of the buying queue this spring. If you are priced out of your favourite suburb, consider adjoining areas. Work out the trade-off between another 5 minutes' drive and the extra dollars you need to spend to secure your home in an adjacent suburb. Don't give up on the search. It requires consistent energy and effort to find your dream home. It really is a full time pursuit that requires constant monitoring online and stacks of physical inspections. Spring will see a rise in the volume of listings. While there's a lot of frustrated buyers out there, don't let the frustration make you act out of desperation and buy a sub-standard property. Don't fear missing out - another opportunity will come. 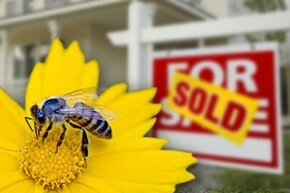 If you are looking to buy in spring we would love to assist in your property search. Please call my friendly team of professional buyers' agents on 1300 655 615 or email your property wishlist today.